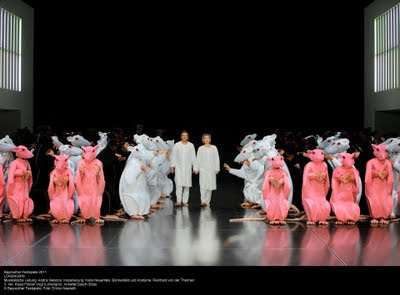 It is a Lohengrin one does not easily forget, though: numbered laboratory rats provide an image that lodges itself in one’s mind, and makes one think, which is just what good musical drama should do. It is also clear that Elsa does not really desire Lohengrin: she is grateful, desperate even, but the lack of eroticism is probably correct and certainly thought-provoking. 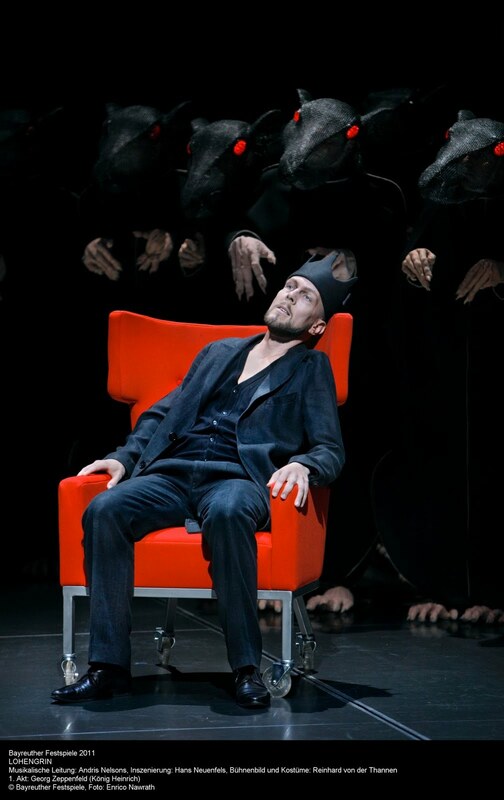 One thing, however, I did not understand was why Telramund, when stealing into the bridal chamber and consequently being felled by Lohengrin, had become a rat. He did not seem to have been so before. And the question remains: who is actually running the experiment? Who is on the outside? It is, in a sense, a variation upon a perennial problem of political philosophy, never more so than in Rousseau: who is the Legislator? It seems too easy to say that it is simply the audience and yet it was not clear to me from the production what the answer might be; perhaps there were clues that I missed. In that respect, I should probably mention the strange, sickly, Amfortas-like figure of King Henry. He is clearly not in charge, whoever is. The orchestra was on fine form indeed, its strings silky and aspiring upwards in the First Act Prelude. (There was actually a minor slip here, but that merely served to highlight the excellence elsewhere.) Andris Nelsons fashioned an account of the score that was largely unobtrusive. There were occasions when his growing mannerism of slowing things down excessively and thereafter speeding up as if to compensate – almost like a giant-scale conception of rubato – manifested itself, but for the most part he proved himself a faithful guide. It may not have sounded like ‘great’ Wagner, but it was certainly good Wagner. The choral singing probably did qualify as ‘great’. I fear that I may become unduly repetitive extolling the excellence of Eberhard Friedrich’s chorus, but the extolling really needs to be done. And to think, all the time, the chorus members had to act their roles as individual rats too. Astrid Weber was a late replacement for Annette Dasch’s Elsa. In the circumstances, one should not be unduly harsh, and it is true that she improved as she went on. However, much of her first-act singing was wobbly and unfocused. It was difficult, moreover, to distinguish more than a few of the words she sang (an especial problem, given Bayreuth’s lack of titles). Petra Lang, by contrast, was a magnificent Ortrud. Had I not heard – and equally importantly, seen – Waltraud Meier in the role, I should have been even more awestruck. As it was, she built up to a terrifying, blood-curdling climax at the tragic close, which even rivalled Meier. Tómas Tómasson and Samuel Youn were adequate as Telramund and the Herald, though far from memorable. Georg Zeppenfeld, however, showed us an intriguing Henry the Fowler, powerful in his suggestion of diseased decadence: quite different from the norm, but compellingly so. Two of the nobles, Rainer Zaun and Stefan Heibach, I had heard earlier in the day in the Ring für Kinder. I was delighted to see such talented artists performing in the ‘main house’ too. 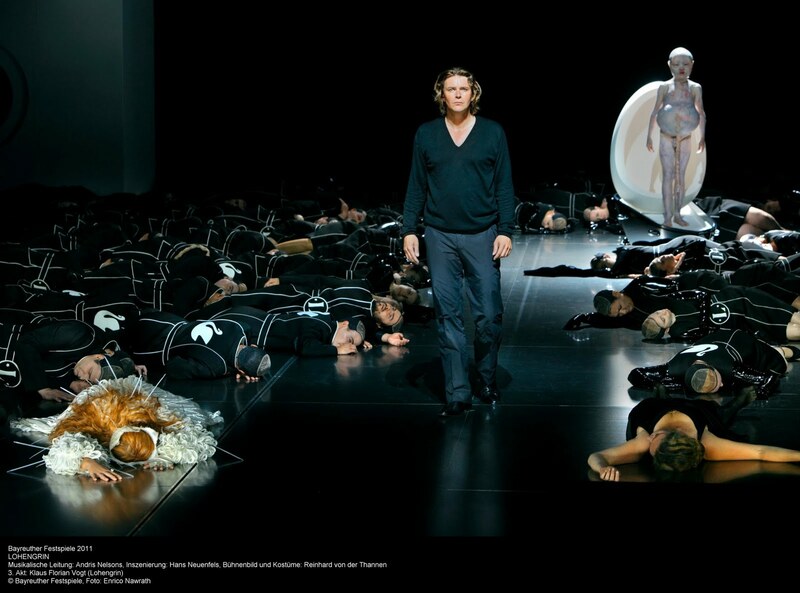 That leaves the staggering Lohengrin of Klaus Florian Vogt, every bit as impressive as when I saw him in Berlin, in Stefan Herheim’s outstanding production. The beauty of his voice is one thing, the purity another, the strength and clarity still further signal qualities, but here, in this role in particular, one truly senses something unheimlich, other-worldly. It delights, coldly seduces in its (apparent) honesty, and yet it chills – which fits superlatively both with work and production. When shall we hear Vogt in a major Wagner role in London? Yesterday would be too late.